A young lady, who sis a drug abuser has been rescued while attempting to commit suicide by setting her self ablaze in a bid to 'resurrect her father' in Verulam - KZN area of South Africa. When security operatives arrived at the scene after being called, they found a female seated on the roadside attempting to burn clothing. 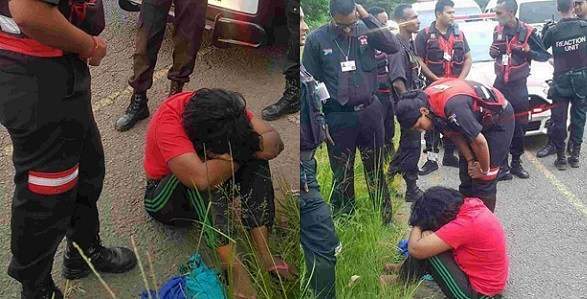 According to reports, the lady informed them that she lives in a bush and was attempting to start a fire to conduct a prayer in an attempt to resurrect her father who died 17 years ago. She also confirmed that her mother was murdered and she had no family. The lady also admitted to being high on heroin while being interviewed. She allegedly supports her drug habit through prostitution. The 35 year old was transported to the station until her family could be located.